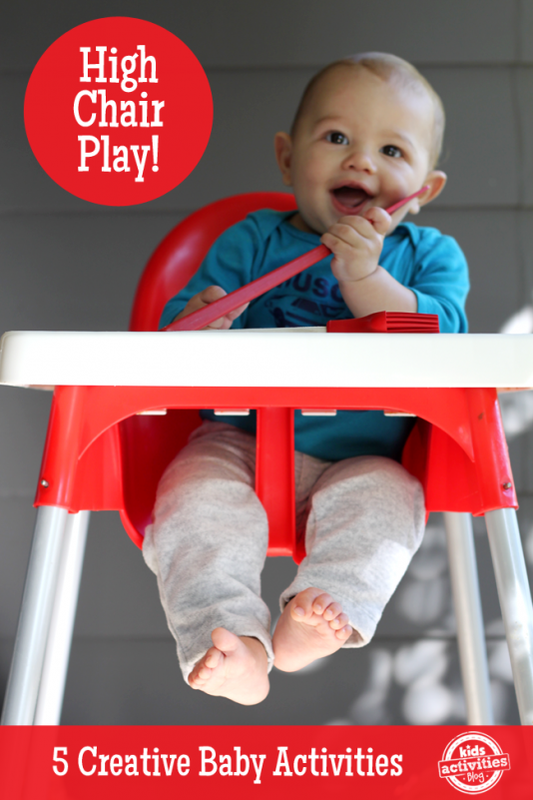 Babies can be a lot of fun! 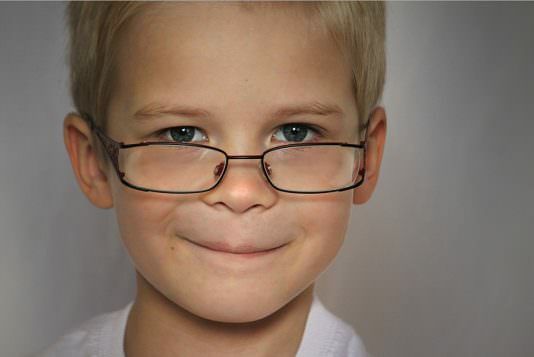 Here are 45 ideas to spark your imagination and help the two of you connect. At Home activity, Less than 5 minutes. Suitable from 5 months to 10 months old. Best with just a single child, Parent participation required. This activity was created by Love Live Grow. 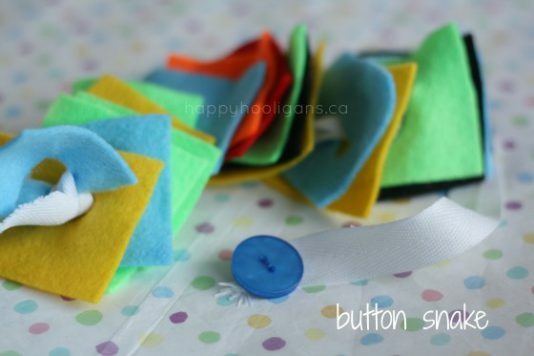 Making a button snake to help the toddler learning to pass a button through a button hole. At Home activity, 5 to 15 minutes. Suitable from 16 months to two years old. Best with just a single child, Parent participation not necesary. 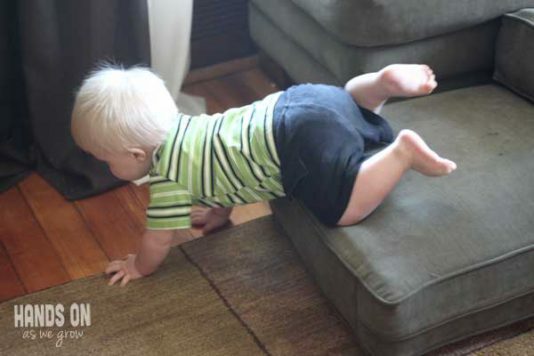 This is a simple push & pull activity for little ones with no cost and low preparation. At Home activity, 5 to 15 minutes. Suitable from 11 months to two years old. Good with either one or two kids, Parent participation not necesary. 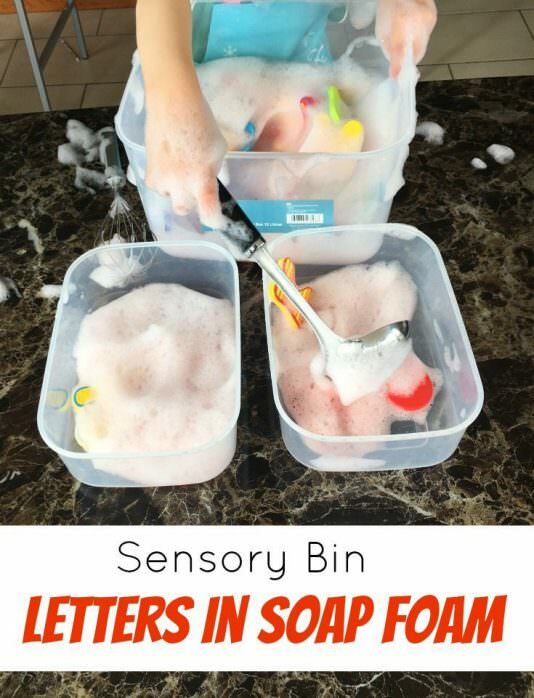 This activity was created by Simply Learning Kids. 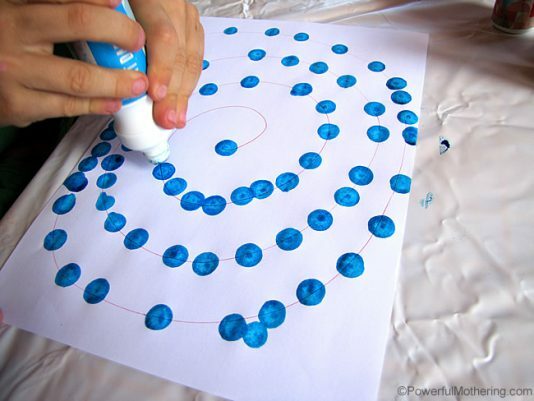 Nice activity for little ones, includes two of their favorites: scissors and paint! At Home activity, 5 to 15 minutes. Suitable from 18 months to six years old. Good with either one or two kids, Parent participation not necesary. 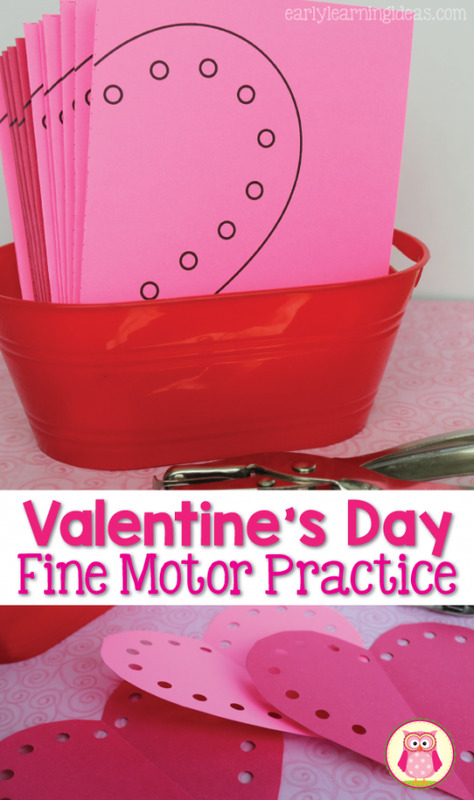 This activity was created by Powerful Mothering. 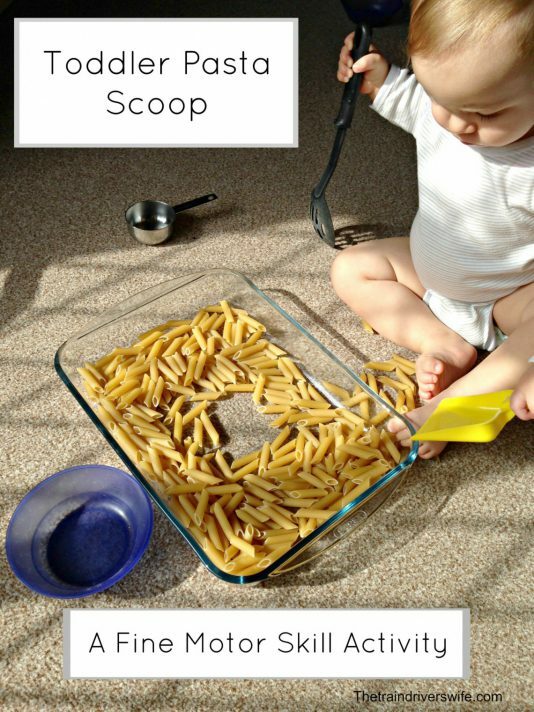 This is a scooping activity to develop baby spoon control skill. 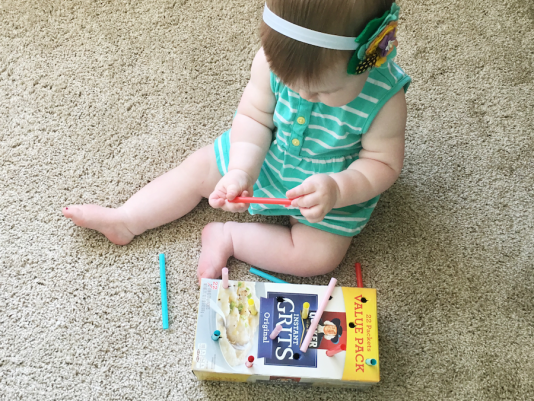 Baby will have an excellent grasp after playing and practice. At Home activity, 5 to 15 minutes. Suitable from 14 months to 18 months old. Best with just a single child, Parent participation not necesary. 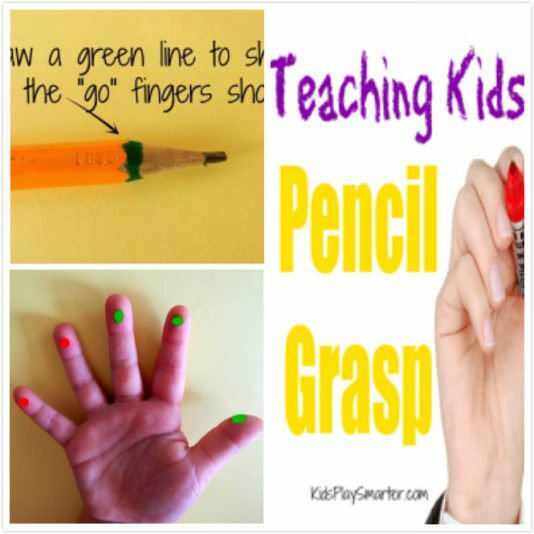 An easy activity to help kids reinforce what they had learn in Preschool and to help them wind down after a busy day. At Home activity, 5 to 15 minutes. Suitable from 18 months to four years old. Best with just a single child, Parent participation not necesary. Little kids love cutting out hearts. But sometimes they do get frustrated. Using simple template to encourage them to motivate kids practicing scissor skills. At Home activity, 5 to 15 minutes. Suitable from 16 months to three years old. Good with either one or two kids, Parent participation required. 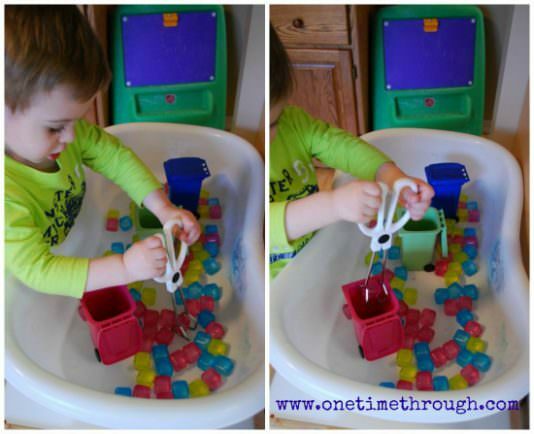 This activity was created by Early Learning Ideas. Intresting craft cooking game that you can do with your kids and later used to put photo in it. At Home activity, 15 to 30 minutes. Suitable from 30 months to six years old. Good with either one or two kids, Parent participation required. 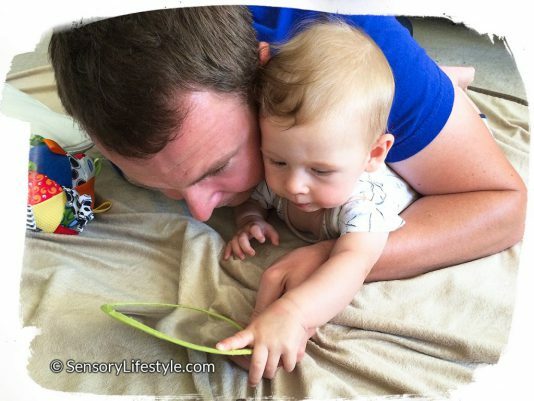 This activity was created by Teach Me Mommy. 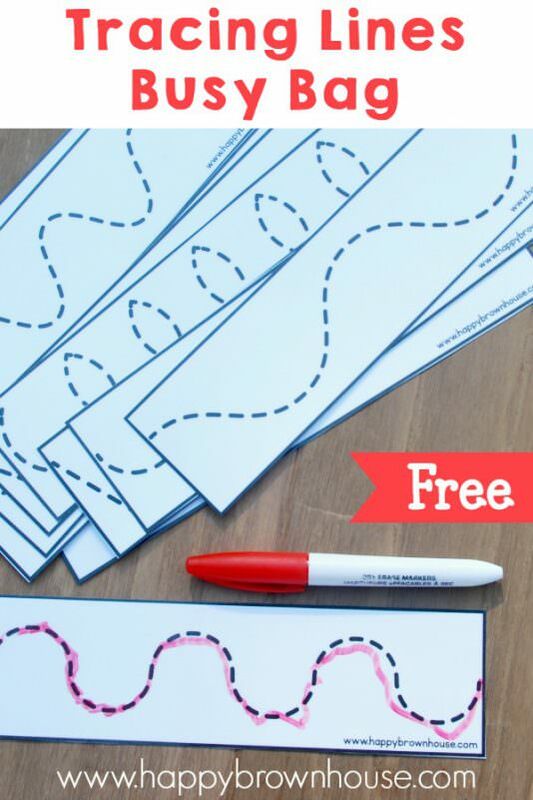 If your kid has interest in writing now, you can help him to practice controlling writing strokes with this free printable sheet. At Home activity, 5 to 15 minutes. Suitable from 9 months to one year old. Best with just a single child, Parent participation not necesary. This activity was created by Happy Brown House. At Home activity, 5 to 15 minutes. Suitable from 33 months to six years old. Good with either one or two kids, Parent participation required. 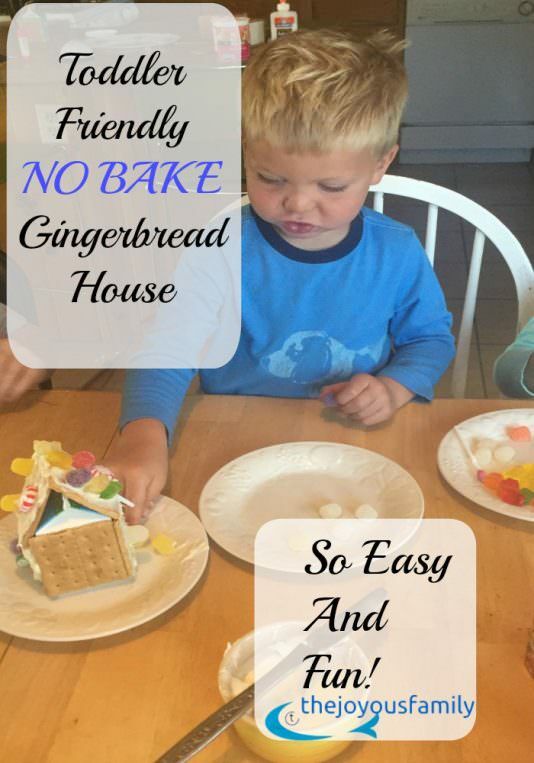 No-bake gingerbread house that the kids can do by themselves as a decoration. 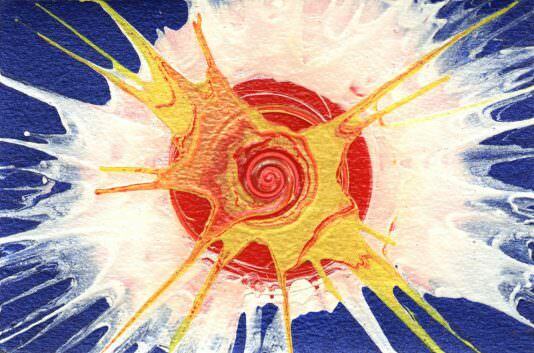 At Home activity, 30 to 60 minutes. Suitable from 30 months to six years old. Good with either one or two kids, Parent participation required. This activity was created by The Joyous Family. At Home or At the Park activity, 5 to 15 minutes. Suitable from 30 months to six years old. Best with 3-5 kids, Parent participation not necesary. This activity was created by The Inspired Treehouse. Kids are never to young to learn about taking care of our environment. At Home activity, 15 to 30 minutes. Suitable from 33 months to six years old. Best with just a single child, Parent participation not necesary. This activity was created by One Time Through. 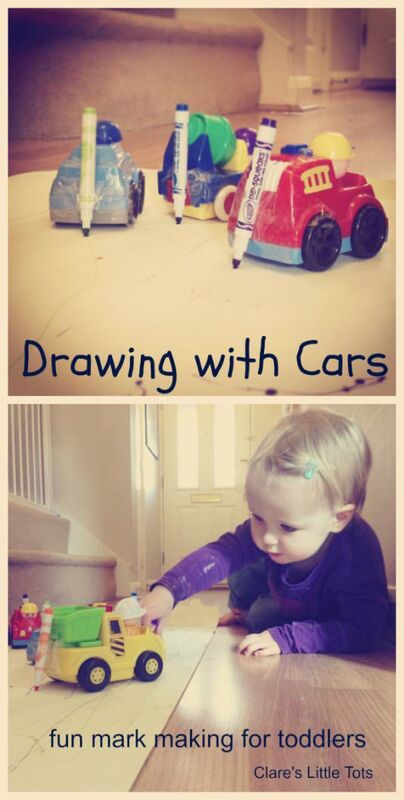 This is a very simple and funny activity to put together, but simple activity can yield the most learning. At Home activity, 15 to 30 minutes. Suitable from two years to six years old. Good with either one or two kids, Parent participation not necesary. 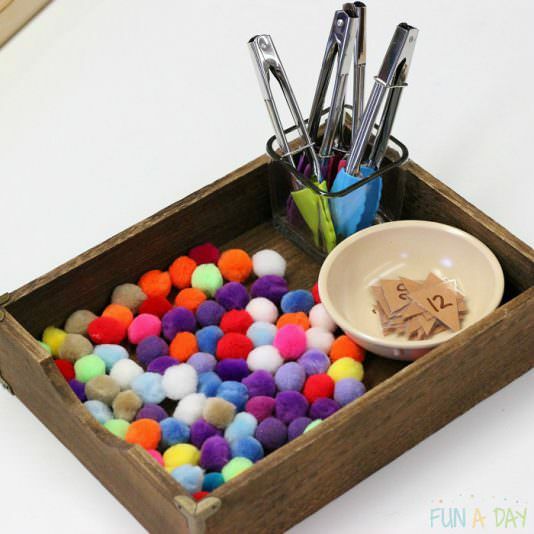 This activity was created by Fun A Day.